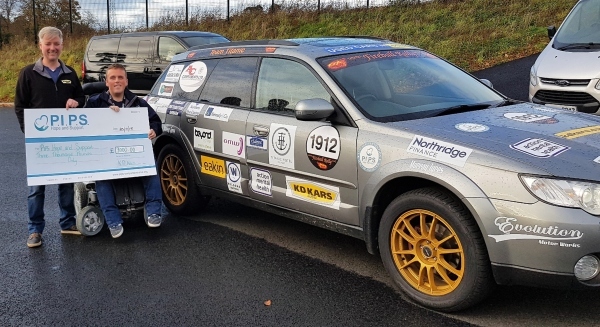 Recently, Rory and 2 of his friends held a 'Fireball Rally' (Which you would have seen us posting about) were they took an old banger car to Europe and drove through 8 countries in 4 days - What an achievement! On Thursday, Rory Doyle from KD Kars presented our Fundraising Officer Padraig with the Cheque. Rory said he and the 2 others wanted to do something gruelling, something memorable, something exciting and a little bit crazy, so they grabbed a map, borrowed a few tents for camping, took an old car from KD Kars and took off on their mission through Europe and boy did they do that for PIPS Hope and Support and Action Mental Health! Rory wants to thank each and every single business who supported his tremendous efforts and each individual who donated and supported the event in anyway possible.